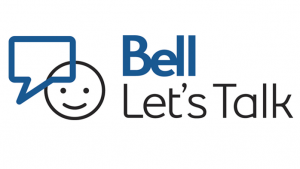 The STMC community is thrilled to be able to host a Bell “Let’s Talk” presentation on mental health at our school for all of our students from Grade 8 to Grade 12 on Thursday, January 31st during their Academic Assembly block. Often, adolescents struggling with mental health issues do so in silence, and these talks may encourage those individuals to speak up. If your son or daughter approaches you regarding struggles with mental health, please do not hesitate to contact the school counsellors for help, support or references.